Come and enjoy a warming curry a glass of wine plus an informative talk by a guest speaker. You can also look for shooting stars associated with the Leonids meteor shower as well as the tail end of the Taurids meteor shower. The Taurids shower marks the time when the Earth passes through the dust trail of comet Encke. The debris left behind by comet Enke is the largest in the inner solar system and it takes several weeks for the Earth to pass through it giving an extended period of activity; 20th October - 30th November. The peak activity for the Taurids is 12th November so we will only be catching a few bright streaks of light. The second meteor shower is the Leonids which occurs as Earth passes through the deris trail left behind by comet Tempel-Tuttle. These meteors are very fast and often leave persistent trains behind them. The peak activity is the evening of the 18th November. The natural limits of the shower are over a much shorter duration than for the Taurids; 15th - 20th November. While we don't use the telescopes to spot meteors but if the weather does permit you will get the chance to look at some other interesting celestial objects through the large telescopes. The evening aims to be both informal and informative. If the weather is unsuitable on themed evenings, the talk will go ahead regardless and a comprehensive tour of the telescopes will replace viewing. 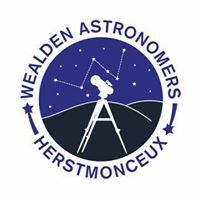 Alongside the staff are members of Wealden Astronomical Society (WAS) and other amateur astronomers who are also there to help answer any questions you may have. They also have their own smaller, modern telescopes on the lawns for you to look through. Numbers are limited to 80, so book early to secure your place. There will be poppadoms, chicken curry, vegetable curry and nan bread. Please note that while there is a vegetarian option there is NO alternative menu to the curry.